FANBOY PLANET.com . 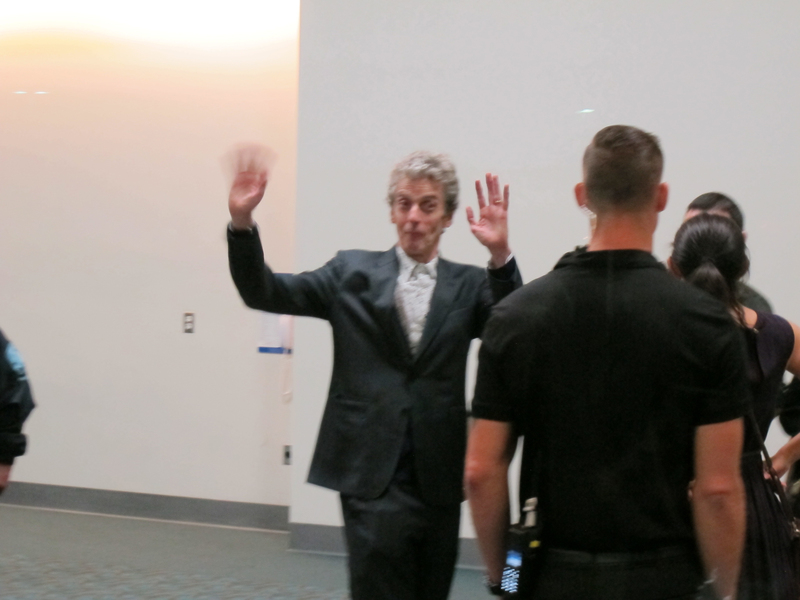 : 2015-comic-con-wednesday-peter-capaldi :. 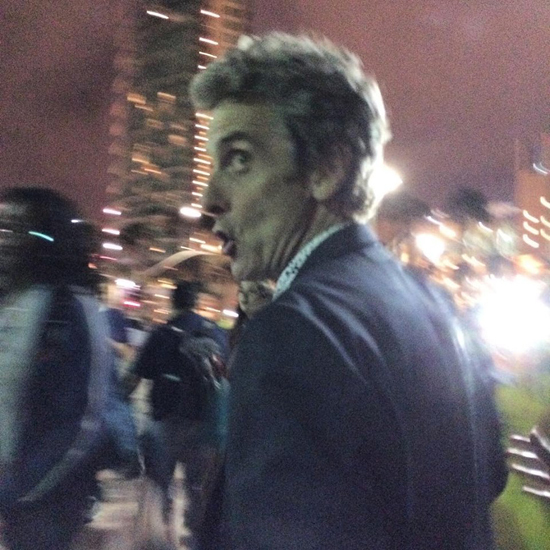 We all knew that Peter Capaldi, the 12th Doctor on Doctor Who, would be making his first Comic-Con appearance this year. But nobody predicted that his first actual appearance would be at a party feting LEGO Dimensions, the toy to life videogame that partied hard at the Hard Rock Hotel on Wednesday night. It was there that Warner Interactive announced that Peter Capaldi would voice the LEGO version of The Doctor as well, and the news rippled through Comic-Con, especially the line for Thursday's Hall H panels, where Capaldi was due to appear. 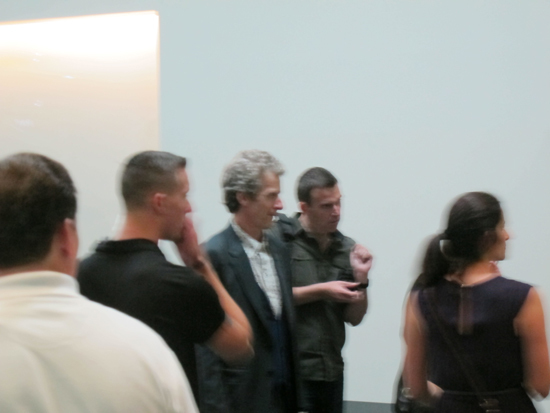 Something more important rippled through, though, when Capaldi himself paid a visit to his fans. 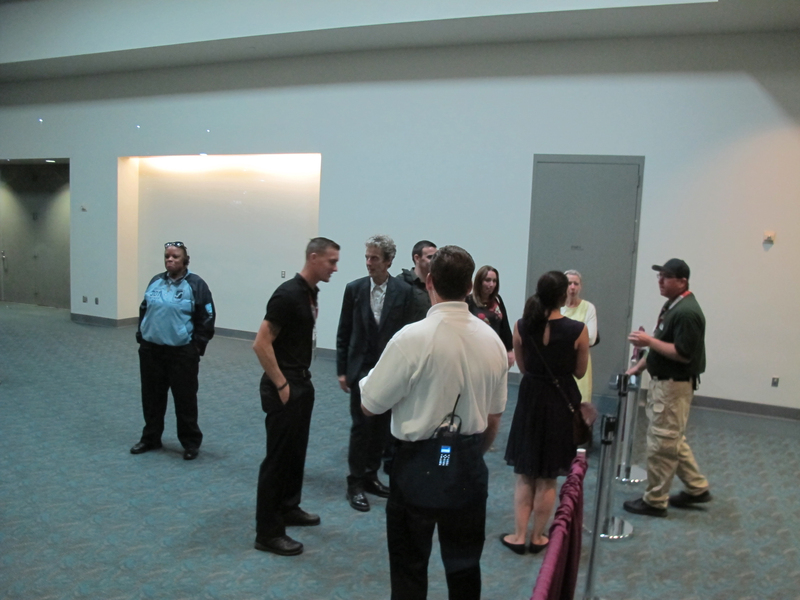 Somewhat unexpectedly, perhaps, and so outgoing and friendly that Comic-Con security wasn't quite sure what to do. Steph Rodriguez was in the line and got close, and Ric Bretschneider happened to be walking by as it happened, so we can bring you a few photos of a star being a bit of a fan himself, and still trying to connect with fandom as they tried to whisk him away. Some of the photos are a bit blurry -- Ric was trying to get some shots before getting moved along by security himself. 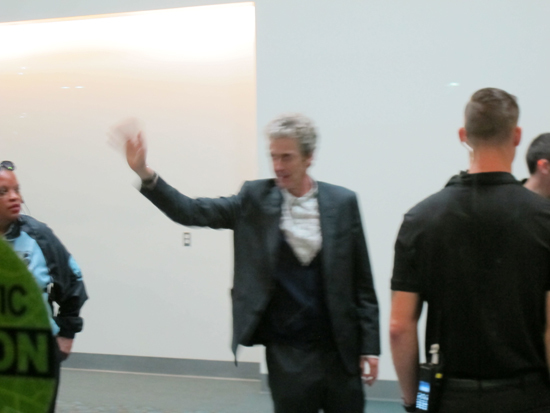 It was a hard sell to get him to move along... he truly loves the fans. 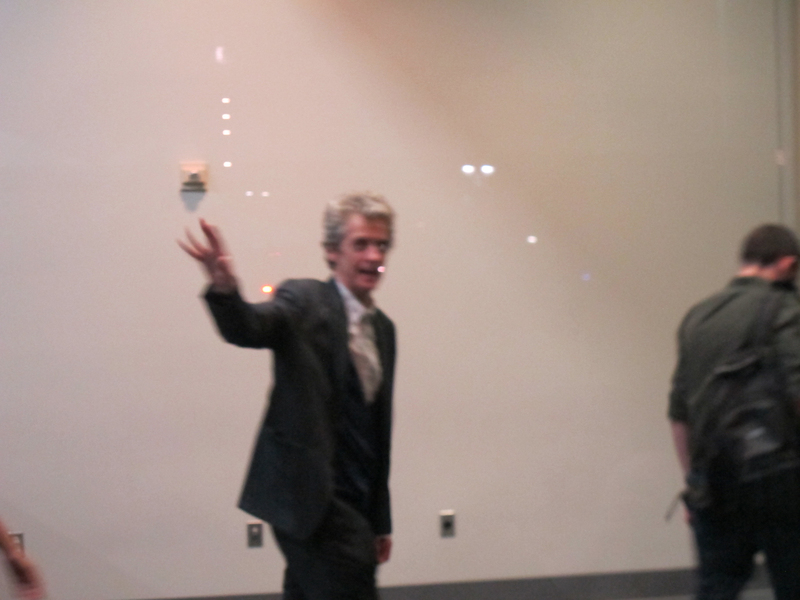 Just like The Doctor... Capaldi looks like he wants to break away and run back to the fans.